Artwork in progress: Independence Monument. 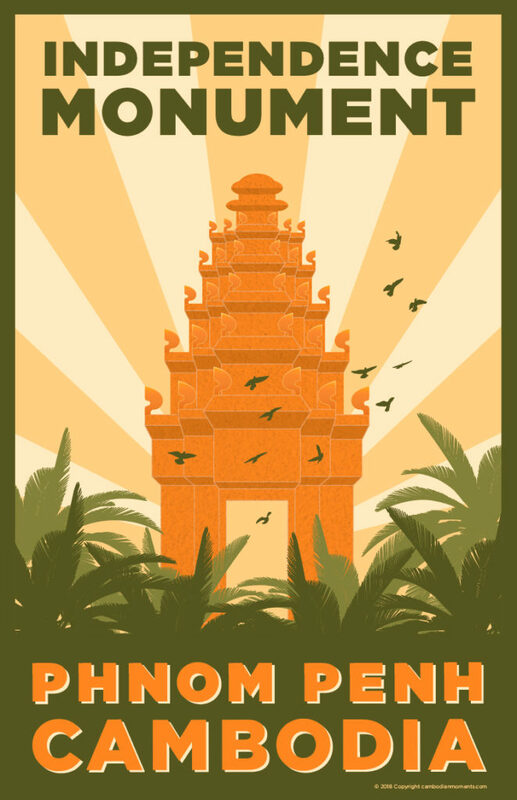 One in an upcoming series of three posters of Phnom Penh landmarks. Cambodian Independence Day is celebrated every year with festivals, parades and firework displays all over the country. The date celebrates Cambodia’s Declaration of Independence from France (a protectorate not a colony) on the 9th of November, 1953. The main celebrations are held in Phnom Penh. Beginning with a formal ceremony at the Independence Monument, followed by a parade of colorful floats and marching bands in front of the Royal Palace. At night the Royal Palace and other buildings are illuminated and a huge fireworks display takes place on the riverside.